Home » Gossip » Tom Cruise » If Nicole Kidman and Katie Holmes Have Herpes, Where Does that Leave Tom? If Nicole Kidman and Katie Holmes Have Herpes, Where Does that Leave Tom? 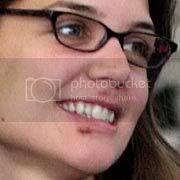 If both Nicole Kidman and Katie Holmes have herpes, then that would make the common denominator .... Tom Cruise, who was married to both women. No? The Post says Nicole and Katie were photographed this week with a breakout of cold sores - also known as oral herpes or herpes labialis - on their lips.